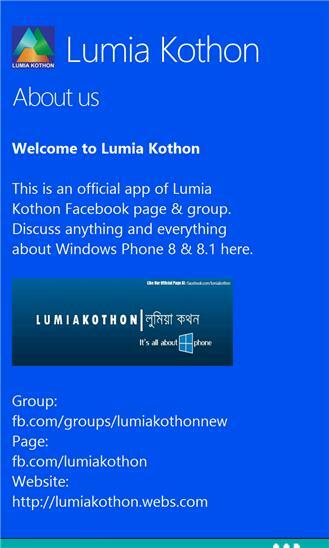 Official App of Lumia Kothon Facebook page. It's all about windows phone. By the using of this app, you will get any information about Windows Phone, upcoming events, current promotions, problem solving tips, helps and supports. Download it now & rate it. More data added.